Farm Roots Mini School is located on eight acres of land at 6570 1A Avenue in Delta (Boundary Bay). 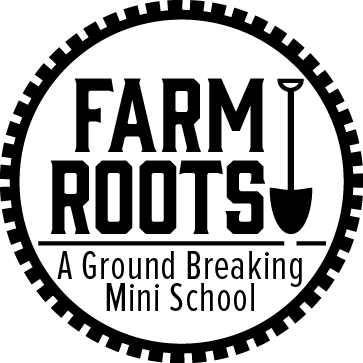 Farm Roots Mini school is an innovative, one of a kind school that directly links students to the multifaceted agricultural industry. While earning dual credits towards high school graduation and graduation from Kwantlen Polytechnic University, students will design, plan and build a learning farm at a small school set on 8 acres. Grade 10-12 students will attend Farm Roots every second day, and their regular school on the other days. Farm Roots allows students to inquire deeply into their interests or passions in a setting that is outdoors, cross-curricular, hands-on, and ‘real-life’. Students will learn deeply and broadly about food systems and resource management with a focus on innovative sustainability and agricultural sciences. Students are provided with unique skills applicable to varied and burgeoning career paths, as well as the competencies in demand from today’s employers: leadership, collaboration, creativity, problem-solving, and communication. Farm Roots also tackles the issue of ethical and environmentally sustainable food security. Open to all grade 10-12 students!